What options are available for studying immunology at undergraduate level? A number of institutions in the UK offer immunology as a standalone first degree subject. In addition, many undergraduate courses in Biomedical Sciences or Biological Sciences allow you take optional modules in immunology or transfer into an Immunology specialist degree program after an initial one year training in general biomedical sciences. 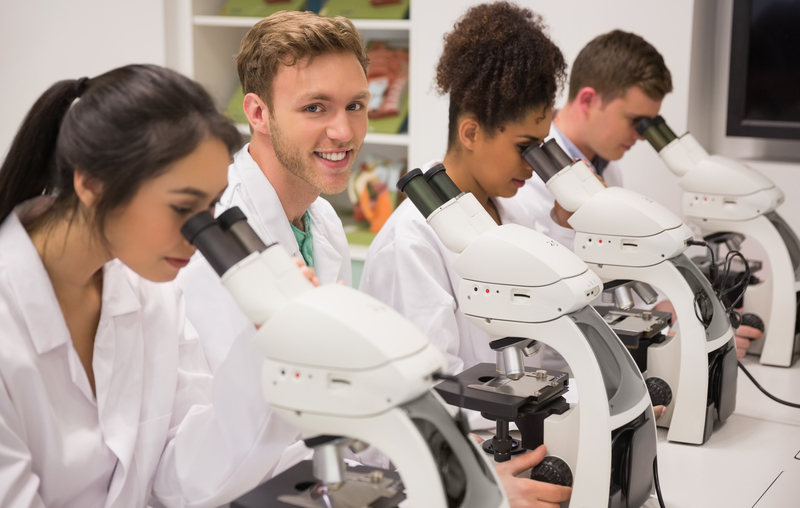 Those that choose to study a broader degree such as Biomedical Sciences or Biological Sciences will not be disadvantaged when applying for postgraduate immunology courses. Check out the undergraduate course finder on the UCAS website to find out the details about individual courses. To be able to work in the NHS as a Biomedical Scientist, you would need to have studied a degree accredited by the Institute of Biomedical Sciences (IBMS). Alternatively, if you chose to study a non-accredited degree, you can get your degree assessed by the IBMS after graduation and you may need to take additional courses in order to become HCPC registered. Please see the IBMS and the NHS websites for more information on the list of degrees that have been accredited and additional career resources on becoming a Biomedical Scientist in the NHS. Besides Clinical Immunology, the following areas that health care and clinical scientists work in are intimately linked with immunology including haematology, histocompatibility and immunogenetics. What would help to get on an undergraduate course in Immunology? As with any courses you would apply for, a clear demonstration of interest and effort in finding out what is involved in the field of study that you are applying for is important in your UCAS application. Additionally, you would also need to have achieved a certain level of background in A Level Biology and usually Chemistry or Maths (check the UCAS website for individual course requirements). There are many ways in which you can find out more about Immunology including: reading articles and books on the subject, gaining work experience in a hospital or laboratory or even both and networking with family and friends that might be working in the area or know someone that does. At the bottom of the page, we have listed several resources that you might find useful. Are you already on an undergraduate course? If you're already on an undergraduate course in the Biological Sciences/Biomedical Sciences area and would like to learn more about immunology, check out our Bite-sized Immunology guide and the work experience/internship section which would help you to gain a clearer understanding of immunological research and what is required at post-graduate level. Additionally, check out the different careers that people with degrees in Immunology have gone on to do in the Immunology career case studies section. If you are thinking about the options after your degree, the 'Next Steps: options after a biosciences degree' booklet offers some tips on job seeking strategies, making applications and how to succeed in interviews. What options are available after my degree in immunology? Check out the career case studies section on job experiences of people who have completed a degree in Immunology. Read about working as a Biomedical Scientist in the NHS.